Celebrating a decade of improving soil productivity with true vertical tillage, the patented I-1100 uses the Coil-Tech Coulter I to carry independently mounted blades that have up to six inches vertical travel and are able to move around obstacles. Are you interested in a quote or demonstration of the I-1100 RTS? Please fill out the form below and one of our Territory Managers will be in touch shortly. Celebrating a decade of improving soil productivity with true vertical tillage, the patented I-1100 uses the Coil-Tech Coulter I to carry independently mounted blades that have up to six inches vertical travel and are able to move around obstacles. 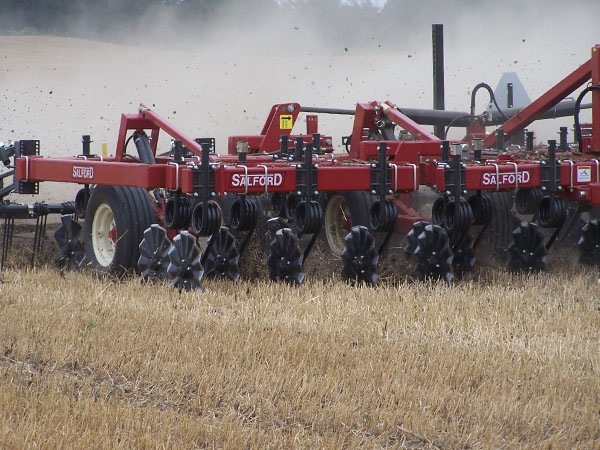 Unlike disc gangs that have difficulty following ground contours or are forced to leave the ground when one blade contacts an obstacle, the I-1100 independently mounted coulters follow changes in terrain and each coulter faces obstructions on its own. The Independent Series has industry-leading speed, obstacle protection, and range of operating conditions, with little to no soil moisture and residue limitations. The Coil-Tech Coulter I system thrives on the high operating speeds of the I-1100. Positive coulter vibration works the ground like a jackhammer, fracturing the soil around and below the operating depth of these unique machines. Independent Series tools manage residue and soil density to improve soil moisture storage capacity, build soil organic matter, and hold onto valuable nutrients such as nitrogen, phosphorus, and potassium. 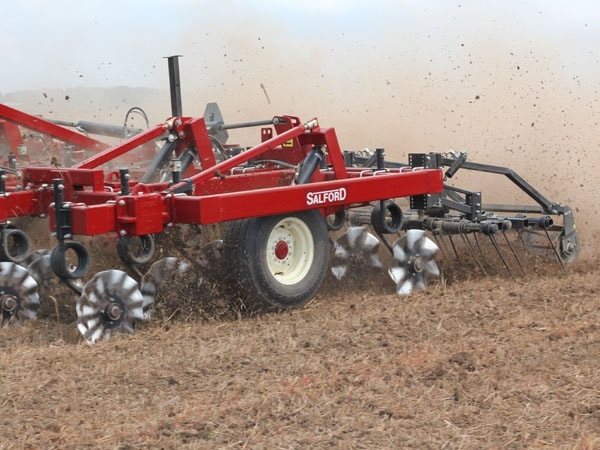 Seed Bed Preparation Corn, Cereal Grains, Hay, and Pasture 1.5" - 2"
Seed Bed Preparation Soybean, Edible beans, Canola, Pulse Crops 2" - 3"
Operating Depth Range 0" - 4"
*Not all coulter mounts are designed to pivot.